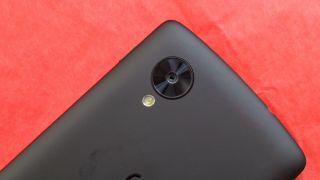 A newly discovered code reveals Google could be working on a new slew of Android camera tools including face detection, burst fire and RAW image support. Originally spotted by ArsTechnica, the new camera features are documented in a public Android source code, which appears to have been in the works since December 2012. The code would have been included with KitKat, but some time around October it appears the API was tagged as "not yet ready" and hidden away. Current Android users almost had a camera with built-in facial detection capabilities, too. Another missed feature is burst mode, which lets smartphone snappers take a quick succession of photographs, and is ideal for "action shots" or cameras without image stabilization. Finally, the code reveals that users were close to getting RAW image support. RAW images are much larger compared to JPEGs that smartphone cameras usually take, but they also hold a lot more detail and are useful for recovering photos that were shot over or under exposed. Other than a few standout smartphone cameras such as Ultrapixels on the HTC One and LG G2's optically stabilized lens, Android cameras have been sorely lacking compared to the iPhone 5S and Nokia Lumia 1020. Looking at the list of new camera features, it's easy to spot a few that look like ways for Google to play catch-up. After all, Apple also just introduced its own burst mode with iOS 7. RAW image support meanwhile is still something not found on most smartphones expect for a few photography-focused models. If Google hopes to make Android a serious smartphone camera platform, the ability to shoot unprocessed and uncompressed photos could be the golden ticket shutterbugs are looking for. There's no word on when or if Google plans to release these camera improvements, but we'll keep an eye out. Self-healing Wolverine-like smartphone batteries never wear out.